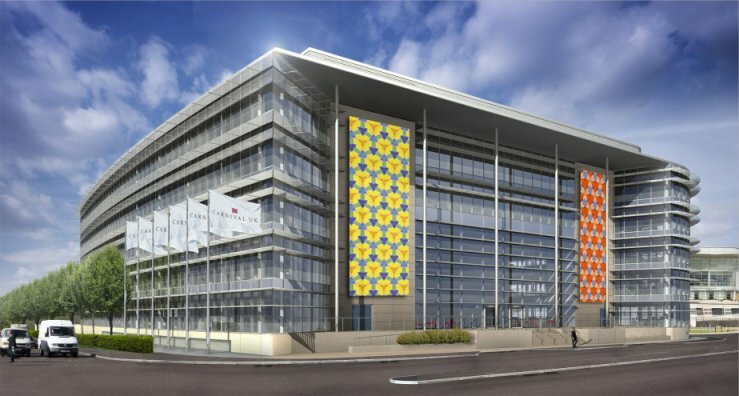 To provide imagery for two 12m high x 4m wide facades of the new Southampton HQ for Carnival UK, England. Two daylight videowalls display tesselated kaleidoscopic patterns that imperceptibly and continuously change over 24 hours. No movement in the animation is perceivable but passers by are aware that whenever they see the installation, the pattern and colours are different. Once in place, other artists could be invited to create work for the screens. Or, if required, other information can be displayed.